1. You must have a Skype ID. If you don't have a Skype ID, please go to www.skype.com and sign up first. 2. Click the Free Trial on our homepage. Fill out the form and click CONFIRM. 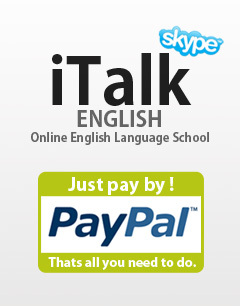 Your Skype ID will also be your iTalk ID. You will receive a confirmation email later. Click the link sent to you on your email and it will bring you to the iTalk Login Page. 3. 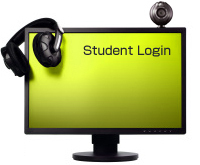 Log in to our site using your iTalk ID (the same with your Skype ID) and enter your iTalk password (the password you entered in the form). Go to our booking page by clicking "Booking" at the left side of the page. This page will show the names and pictures of teachers. 4. Choose a teacher. To know more about the teacher, click the teacher's photo and then teacher's information and schedule will appear. 5. Choose the time. You can only choose a time that says "open." The time saying "close" means that another student has already booked. 6. Log in to Skype using your Skype ID and your Skype password. You must log in 15 minutes before the lesson. 7. Wait for the teacher's call and that's all. You can now enjoy your first iTalk experience. Have fun!